Good times, folks, good times. I miss those days. 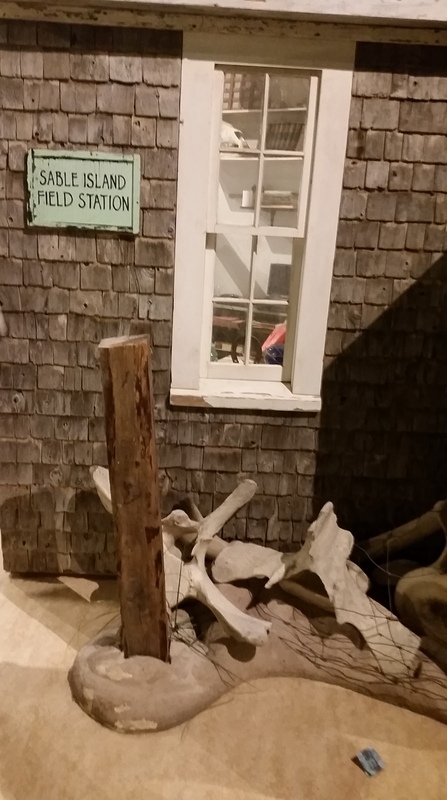 Anyway, that’s a roundabout way of introducing this post all about a new (to me) exhibit on Sable Island at the Nova Scotia Museum of Natural History, which I got to check out while I was home for Christmas. Seal hisses! 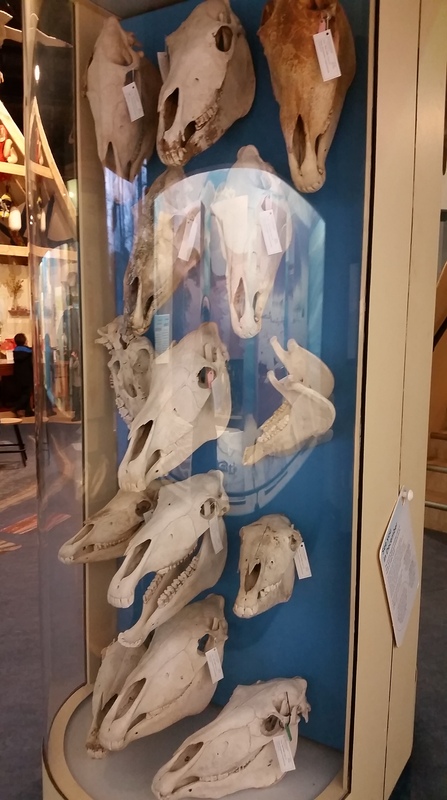 The NS Museum of Natural History opened this major new upgrade to the ocean hall, Sable Island: Over the Dunes, Beyond Wild Horses. It’s a welcome addition considering the uniqueness of this geographical region, its importance to the history of Nova Scotia, and its relative obscurity among non-Nova Scotians (and maybe even within Nova Scotia, too). Briefly, Sable Island, which sits on the continental shelf, most likely represents a terminal moraine, or a mound of sand pushed by a glacier as the ice disappeared. 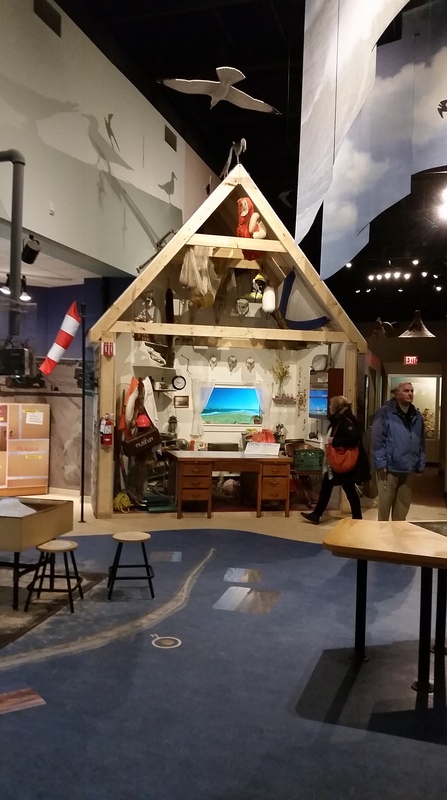 Only a few people live on Sable Island year round, but scientists are one of the more frequent visitors, and so this exhibit focuses on much of the scientific research that’s been done on the island. As you enter the exhibit you pass in front of a recreation of the field station, complete with lots of seashore paraphernalia. There are lots of fun things to investigate in the field station! 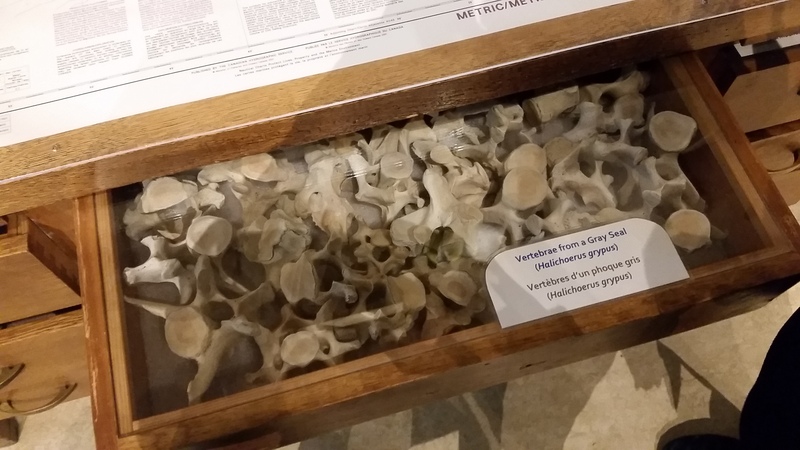 You can open all of the drawers in the desk, and find surprises like all of these grey seal vertebrae. Every field camp I’ve been in seems to accumulate modern bones, so this seems accurate to me! I learned some new things about Nova Scotia’s fauna, too, like the fact that there was a population of walrus called the Maritime Walrus that called Sable Island home. More than 100 000 of these walruses may have lived on Sable Island until the late 1700s, when they were hunted to extinction (along with populations in the Bay of Fundy and the Magdalen Islands). 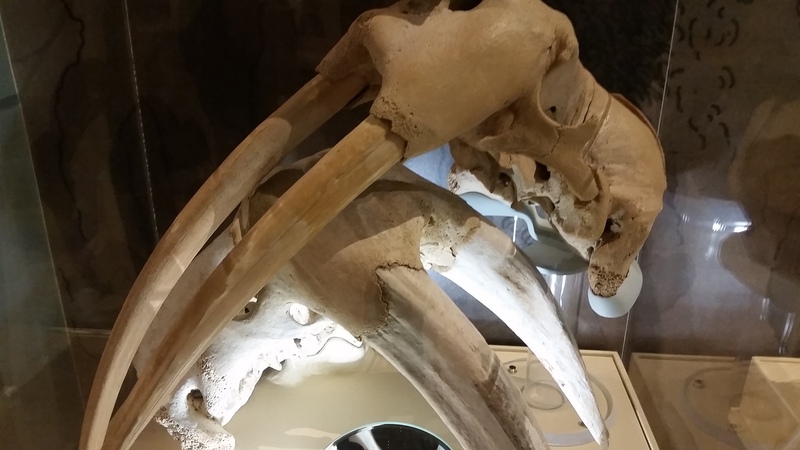 Here are some Maritime walrus tusks on their way to being fossils! 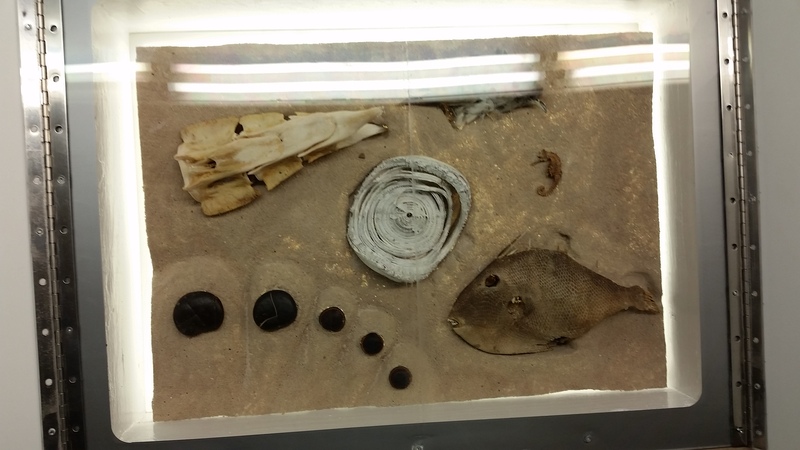 Elsewhere, there are some fun pop-open windows showing some of the things you might encounter while beachcombing on Sable Island. These are all ‘exotics’, things just passing by on their way from one place to another: from top left, clockwise, vertebrae from a bluefin tuna, a yellow-billed cuckoo (mostly obscured by glare), lined seahorse, grey triggerfish, horse-eye bean (the three smaller seeds), sea heart (the two larger seeds, a flowering liana), and in the middle, the vertebra of basking shark. 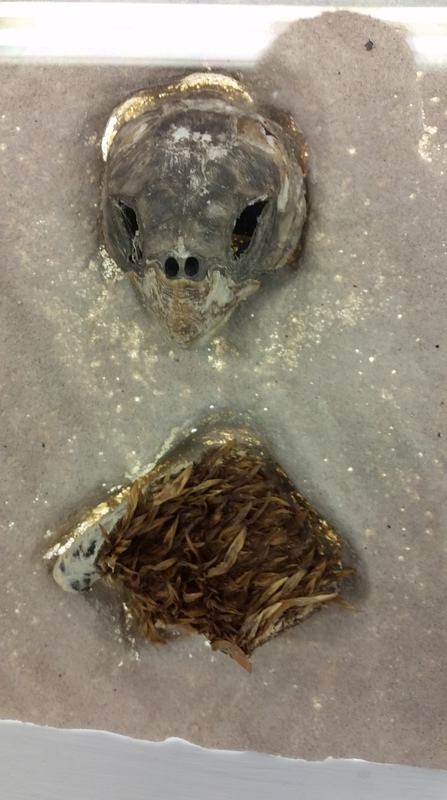 And who doesn’t love mummified sea turtle heads and a chunk of sea turtle esophagus?? The terrestrial residents of the island, the Sable Island horses, were deliberately introduced to the island beginning in the early 1700s, and horses were periodically rounded up and sold on the mainland up to the 1950s. 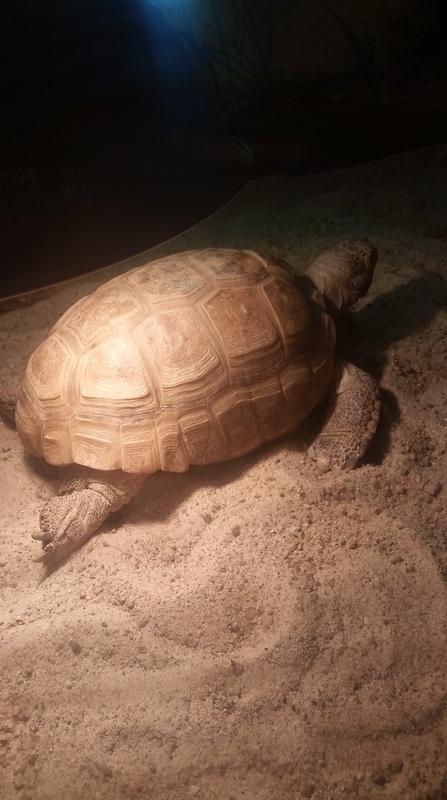 They’re an interesting case study in island evolution, with shaggy fur and legs suited to walking on sand, and are probably one of the more famous aspects of the island. With no natural predators on the island, the Sable Island horses tend to die of starvation and old age. This amazingly macabre spinning wheel shows us what lingers after the horses die: hooves, bones, and hair. An amazing and a little bit weird display! 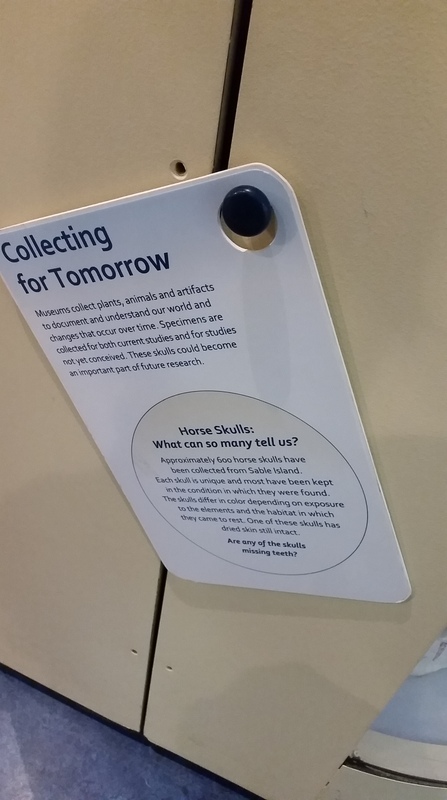 I liked a lot of things in the Sable Island exhibit, but one of my favourite things was the explicit nod to the role of museum collections as important scientific data repositories, and how collections contribute to understanding living ecosystems. 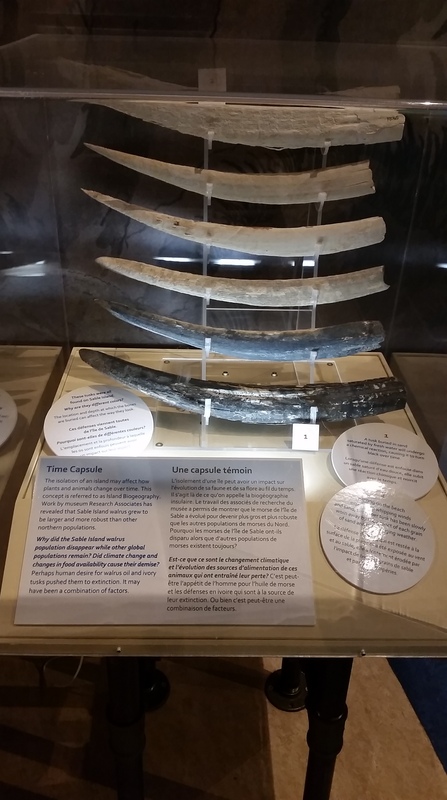 As a palaeontologist I deal in fossils and ecosystems that are long gone, but Sable Island is a dynamic, evolving ecosystem with an introduced large terrestrial herbivore being subjected to extreme natural selective forces and genetic drift, and studying the changes on the island is an important endeavour. I’m looking forward to visiting this exhibit again, and I hope it’s inspiring lots of people to learn more about this amazing bit of Canada.